A home purchase is both exciting and fun. The problem, however, is that because we want to buy a home so badly, we sometimes don’t see the flaws the property has. Although we do sometimes fall in love with a property, we should never purchase it without running a few necessary checks. Let’s review a number of these red flags. Firstly, always look at the neighborhood. Are there many homes for sale and many boarded up shops? Speak to others in the street and ask them about the community. Also check out the land. If the land slopes downwards towards the property, there is a chance that the foundations have been or will be damaged by flowing rain water. You should also look into whether there are any weird smells in and out of the property. Bugs and insects are a bad sign as well. If there have been bugs or insects, people in the street are likely to know about it, so ask them. The second important thing is to look into whether the home you are considering is going through foreclosure or is in short sale. Yes, you can get an amazing deal on this. However, many of these properties are in terrible condition and it can also be a sign of trouble in the neighborhood itself. When push comes to shove, you are the only one who can work out whether or not you want to purchase a property. It is also true that if you are looking for a true bargain, then a house with problems is what you are looking for. However, if you find you have purchased a true money pit property, or that it is impossible to sell it at a later date, then is it really worth it? Homes, whether purchased as an investment or not, are places for people to live in, which means they have to be inhabitable. Naturally, you do also have to look at the property itself, but the importance of looking into the neighborhood cannot be denied either. All you really have to do in order to find out whether the property itself is any good is hire a property inspector. In terms of checking out a neighborhood, there is no data available to do this right, only your own personal feelings. The goal of any real estate investor is to earn as much as possible with minimal risk. Only if you know how to make smart choices will you be able to achieve this. 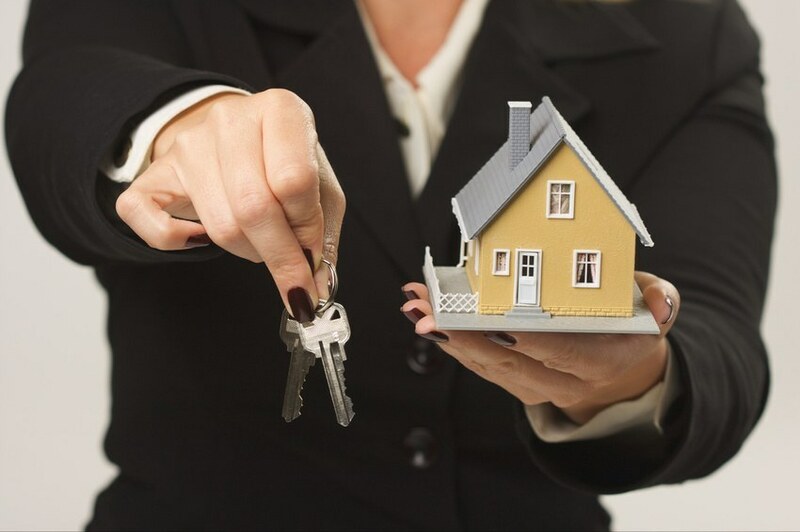 This means you need to know the three things that make a great real estate investment. First, you need something with a good return. Real estate is an illiquid asset that requires you to minimize on your liquid assets. Try to make sure that the return rate you get is the same as what it was on your liquid assets. This means that you should find a true cash flow property, and not a money pit. You also have to make sure that you don’t take too many risks. There is no such thing as risk-free real estate, but some risks are too high to take. Try not to choose private real estate funds, fixer uppers, real estate development and tenant-in-common options. With these options, it is highly unlikely that you will see a positive return. Instead, look for good properties and title them to yourself. These decisions should be made based on research and analysis, as well as due diligence. Try to find a property that you don’t have to manage intensively and that doesn’t take up too much of your time. Hence, you don’t want to invest in a holiday home, a college home or a property in a bad neighborhood for instance. A better option is a property that someone with a good credit profile is likely to rent for a long period of time. This does require a commitment on your side to treat your tenants with the respect they deserve. It is impossible to never have a problem with your property, but so long as you deal with issues quickly, this shouldn’t be anything to really worry about. These are the great properties you should look for if you want to invest in real estate. The ideal investment property is one that doesn’t require too much maintenance or management. Unfortunately, this can be quite difficult to achieve. To find these properties, you will need to invest quite a bit of time. You must spend the time to analyze and research any options available to you. Most of us who are ready to invest in real estate want to do so immediately. Even if you have been searching the market for a long time, you should never invest in a property that you are not sure about. Unfortunately, a poor investment decision in the world of real estate can be incredibly costly and it will be hard, if not impossible, to ever see a positive return. Real estate investing can be both a complete failure or a complete success. Everybody believes that location, location, location is what matters the most, but it is actually more important to know who you are dealing with. The sad truth is that you will find that there are some very unscrupulous people who deal in real estate. Think of the people you see on late night television, who promise to make you a millionaire. You should never invest in real estate before having a few affairs in order. You cannot get started without knowing you have the necessary investment capital. Also, make sure that you get to know the real estate market and learn about the neighborhoods you are interested in. Applying this to real estate investment, what you are looking for is not appreciation, but rather cash flow. Your cash flow is how much you end up with at the end of the month after all your obligations have been met. If you can, try to leave your cash flow alone in a bank account to create significant savings. Your cash flow will also go up as rent prices go up. Best of all, your mortgage payments should stay the same. You should make sure that at least 20% of the money you get is cash flow. Make sure you take advantage of the online availability of cash flow calculators. In order to make a good real estate investment, these are the things you should be looking for. The ideal property is one that doesn’t require too much maintenance or management. Unfortunately, this isn’t always as easy as it may seem. You need to be able to invest a lot of time in order to find these properties. You will need to take the time to analyze and research any and all options that come your way. In many cases, someone who wants to invest in real estate is impatient to actually get started. As tempting as it may be to invest in the first thing that comes along, you really shouldn’t do that. Make a wrong decision in the world of real estate, and you stand to loose a great deal of money that you may never be able to recover. When you’ve made the decision to invest in real estate, make it professional by setting up an LLC. That way, you will be protected. You will also get tax benefits because of your business. When most people hear the word “investment,” they may think of the stock market or the DOW. Another great item to invest in is real estate. Read on to learn how you can make money by investing in real estate. You could be an expert in no time. Think about the type of building you can maintain easily. Buying a property is just one aspect of real estate investment. You need to consider just how you are going to keep the place up so that you can resell it in the future. It is easier to take care of a single story house than an apartment building, for example. Stick to things that are within your budget.